okay, gonna briefly update before i start my tuts! sunday went for In Song 08: A little gather'ng! 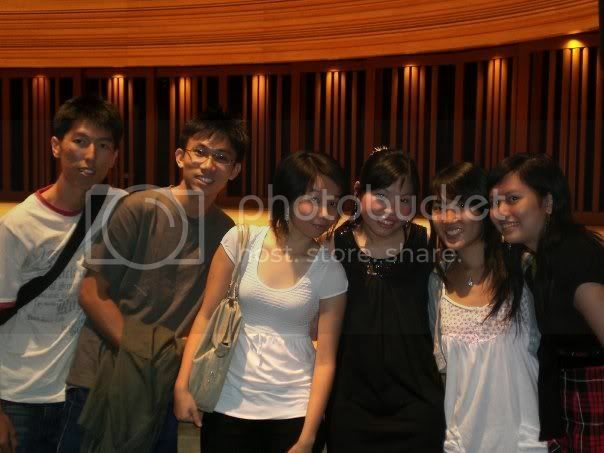 it was held at nus yst conservatory... i thought that's ucc la! it was like a horribly rainy day la! 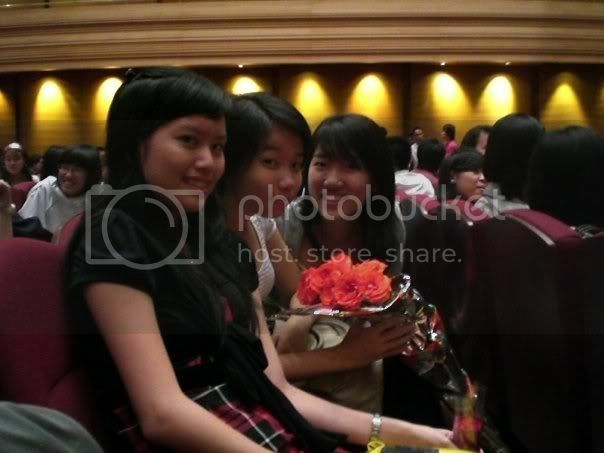 hahaha, jo and lq funny lor! and had to wrap it up themselves!! 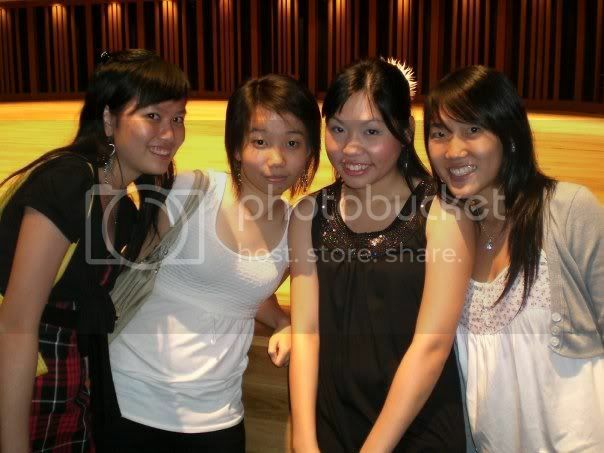 they were super pai seh...hahahaha! to support our jj!!! hahaha! WAH, THAT'S JJ'S VOICE AR! my fringe is still desperately in need of GROWING! and i've been super tired, and my eye is SUPER RED! i'm gonna sleep early again today! and FINANCE TXTBK IS FREAKING PATTERN LA! the book that lib have, and the book that bookshop have, it is slightly DIFFERENT! like the questions are the same but values are DIFFERENT! i need to redo my tut 1 again! and reprint ALL THE TUTORIALS AGAIN! yuan lai it's so hard to come up with a feasible problem for customer service! stats report was SO MUCH EASIER to do!! !